These atelier type start ups create the most free hand and slightly bohemian looking designs, giving them immediacy and authenticity. Because boutique companies do not need to keep much inventory, they can be bold with their designs and take more risks. They look wonderful with today’s contemporary styles. 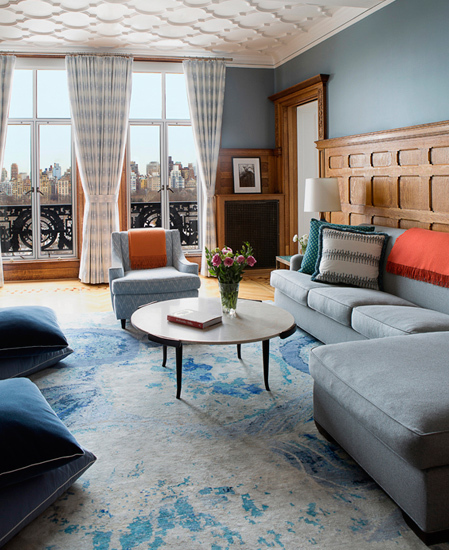 Boutique hotels and restaurants are recognizing their unique value, as well as celebrity interior designers. Whether it is just for pillows or drapery, they can transform the look and feel of a room giving a custom look without the price tag. 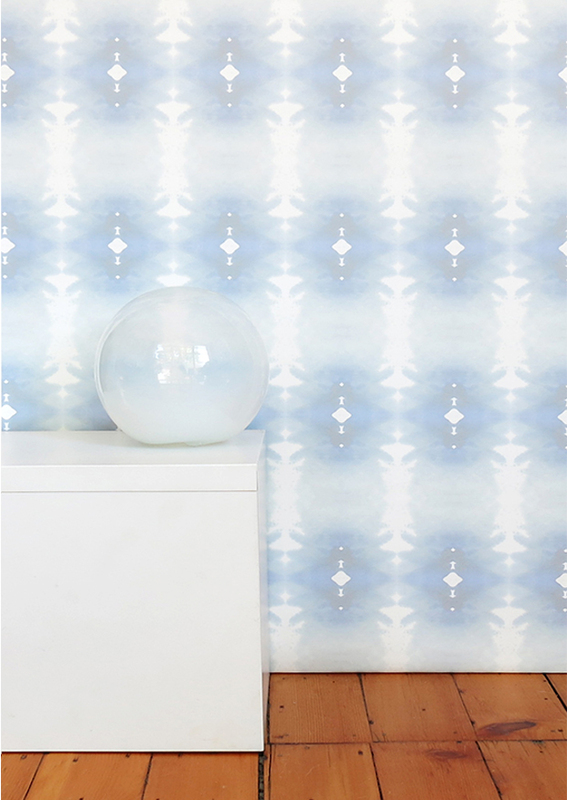 A soft watery design for drapery fabric from Brooklyn based company Eskayel . Here it looks perfect with the painterly rug. We have to thank technology and the ease of digital printing for allowing these artists to create patterns that would have previously been almost impossible. The watercolor effect is achieved by using multiple hues bleeding together which is difficult to do with traditional screen printing. Wallpaper has been going through a renaissance. Homeowners are often afraid of wallpaper because they imagine something from their grandmothers house and of course it is a bit more expensive than paint. But it does add interest to a wall so you may spend less on artwork or other decorative wall pieces if you have a large blank wall. The designs are typically large in scale which adds to the feeling of drama. 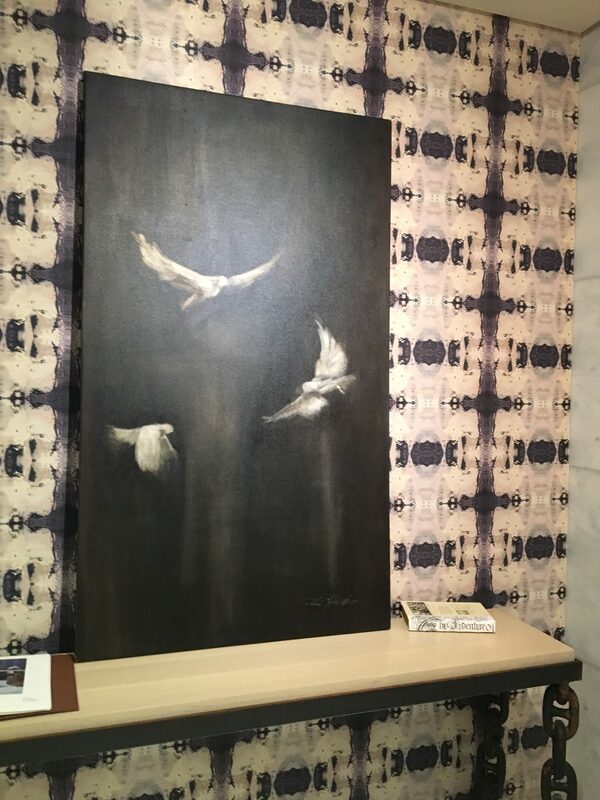 Lindsay Cowles is a contemporary artist and decorative arts designer based in Richmond, VA. She paints large-scale abstract oil paintings and digitally manipulates them into patterns for wallcoverings, textiles and pillows. 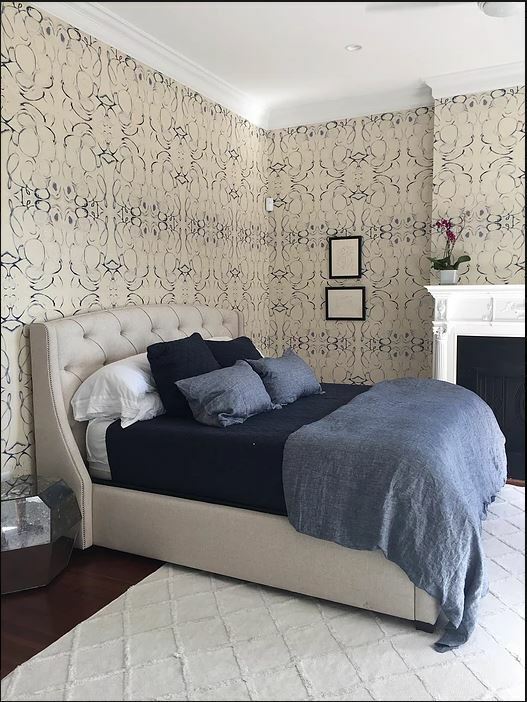 I love the way the traditional architecture of the room shown above is juxtaposed with the abstract design of the wallpaper. So fresh and up to date. 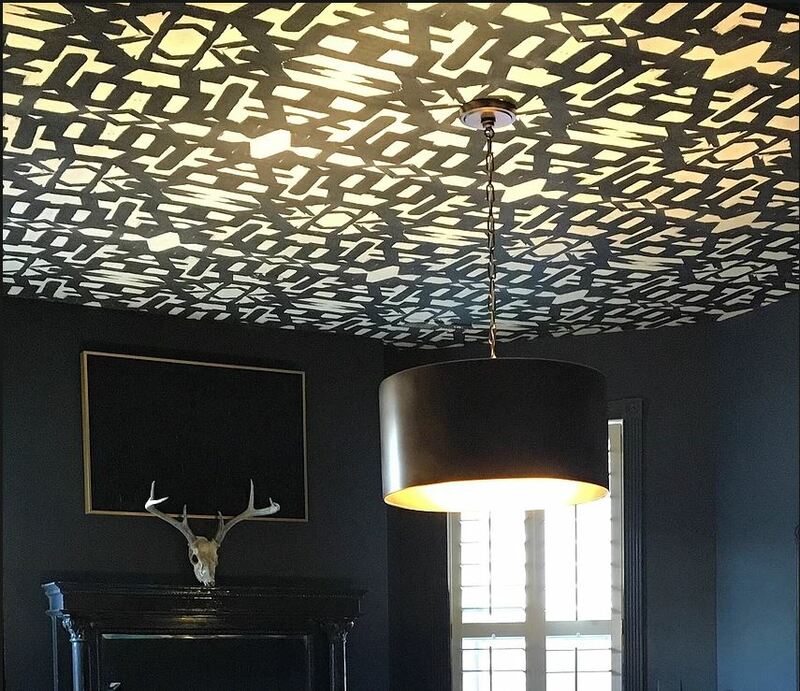 These unique designs work wonders to add dimension to a plain ceiling which is often overlooked when designing a room. It is a missed opportunity as you can see from the use of wallpaper on the ceiling of the room below. 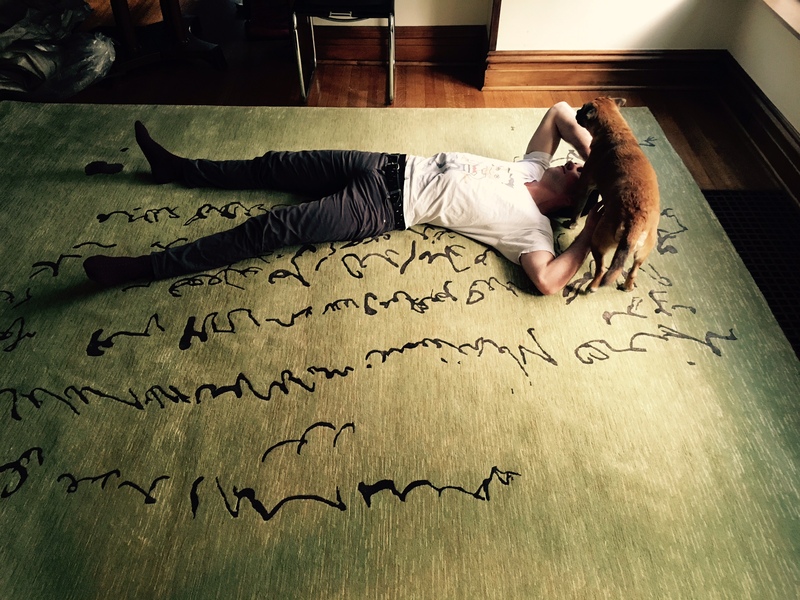 I cannot resist sharing a custom rug that I designed for a client based on a drawing by her son. These unique abstract designs can be transformed onto rugs as well as wallpaper, fabric, pillows, throws. In fact the possibilities are endless.